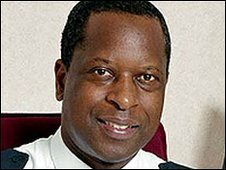 Kent's Chief Constable, Michael Fuller, has been appointed as chief inspector of the Crown Prosecution Service. Mr Fuller was selected by Attorney General Baroness Scotland. He was approved by the government and endorsed by the Commons Justice Committee. He will start work in April. Deputy Chief Constable Adrian Leppard will be acting chief until the post is filled at the end of the summer. 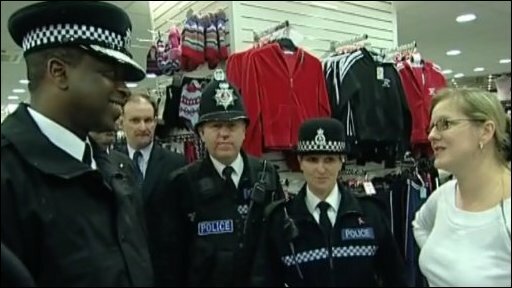 Mr Fuller has been Kent's chief constable for six years. Ann Barnes, Chair of the Kent Police Authority, said: "I would like to congratulate Mr Fuller on his new appointment and wish him every success in the future. "Since his appointment here in Kent he has made a significant difference in raising the profile of the force. "His work has led to a number of successes including neighbourhood policing, introduction of task teams, and our collaboration work with Essex Police." In response to his appointment, Mr Fuller said: I am delighted and look forward to a new challenge that I hope to take up in April. "However, I will be leaving Kent with a sense of sadness after six very enjoyable years and I would like to pay tribute to all the officers and staff of the Kent Force for their hard work and dedication." In endorsing him, committee chairman, Sir Alan Beith, said: "We welcome his grasp of the need for independence, specialist expertise where necessary and for an understanding of the whole criminal justice system." "We expect him to call upon all his experience as a leader, manager and innovator - as well as a police officer - in pursuing his new responsibilities," he said.